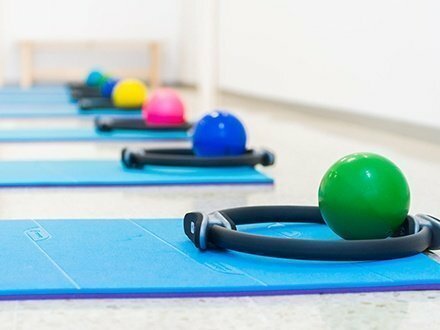 Our Pilates sessions are driven by professional and chartered physiotherapists able to facilitate a wide range of exercises that will allow you to strengthen and tone any muscle in your body produced by smooth movements and stretching. A lot of effort is put into different areas of the abdomen, able to protect your back during intense training. Pilates will also help you better control your body, enhancing balance, breathing, coordination and learning how to have a correct posture all day long. Pilates Reformer springs help adjusting the complexity of the exercise according to the capabilities of the person exercising. For this reason, it is a great option for people with pathologies such as hernia, scoliosis, artrosis… due to the fact that springs assist with the movements allowing you to improve at a good pace. 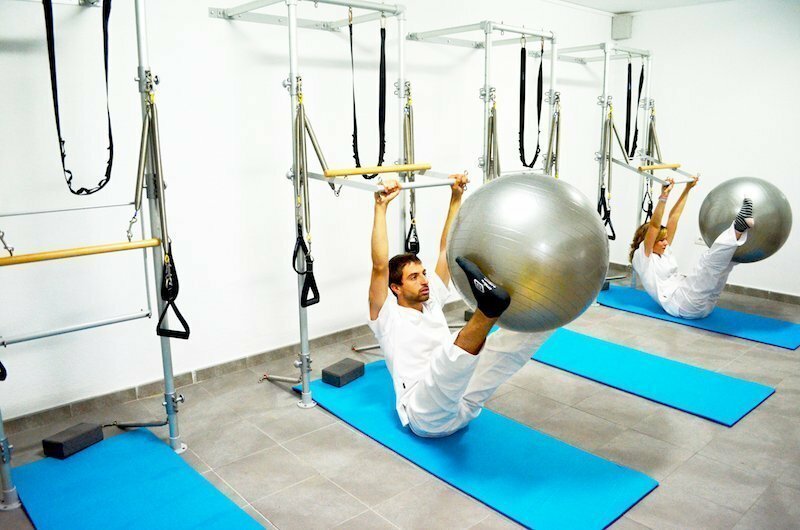 Pilates is great for rehabilitation. This sessions can accommodate up to 5 people and equipment is adjusted according to the needs of each of our customers. In this sessions, fitness ball, theraband bands, weights, hoop, etc are also used. Pilates Reformer is a very exciting and complete exercise.